In 2014, as the centenary of World War One approached, it was recognised that the war memorials of All Saints Church and the decommissioned Holy Trinity Church should be more appropriately positioned. The All Saints memorial was hard to see in the North Transept and its name plaques lay loose under the altar. The old Holy Trinity Church memorial had lain on the floor since it was rescued from a council garage by the Loughborough Branch of the Royal Bri sh Legion. 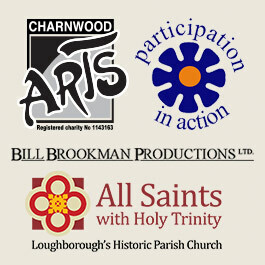 The Charnwood Great War Centenary Project repositioned the memorials onto the North Aisle wall of All Saints Church in 2014. Volunteers then researched the names of the fallen, which resulted in this book. In addition there were community consultations, solemn commemoration, heritage activities, exhibitions, a peace vigil and patchwork peace hangings, conferences, debates, concerts and events. 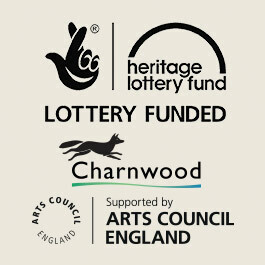 The project received a significant grant from the Heritage Lottery Fund and further funds from the ‘At Risk War Memorials Project for Leicester, Leicestershire and Rutland’ for the work at All Saints. The Men, commemorated at all Saints and Holy Trinity, were lost in all Britain’s great theatres of the First World War, except East and South-West Africa, and also during the subsequent flu pandemic. We have decided to present, with some groupings of brothers, the names in chronological order of mortal affliction and by campaign. Thus this book reads as a history in miniature of World War One through the price paid during those terrible years. We also make reference to facets of life and other events occurring in Loughborough and the surrounding areas immediately before and after the war. Morcom’s memorial is remarkable for its complexity. 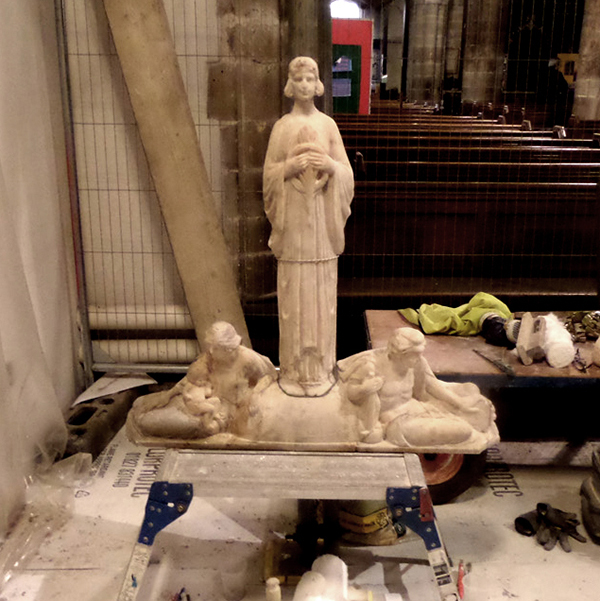 A top tier of Derbyshire alabaster comprises ‘Motherhood’ with child, ‘Peace’ with wreath and palm representing victory, and ‘Industry’ with hammer and cogwheel. Wreaths, in green marble, flank a centrepiece cross and crown in glory. A sailor with a rope, the symbol for eternity and a soldier flank the local Swithland slate dedication. Three friezes represent civil and military war me services: airman, priest (curiously Russian in appearance), a doctor with single ear-piece stethoscope, farm-girl with hoe, nurse, industrial girl worker, miner with lamp, farmer with shovel and string tied round his calves to stop rats running up his trouser-legs and an industrial worker in a boiler-suit holding a measuring calliper. Low – or ‘bas’ – reliefs along the elaborate pedestal show a gun (was this a coastal gun modi ed for trench-use? ), a biplane and a Dreadnought battleship. Just visible to its right is an airship, and finally a tank firing its 6lb gun and machine gun. The exhortation on ‘Remember’ surmounts two marble corbels which support the en re weight. The two upper panels contain 30 names from WW2 and three more hold the names of 84 men of the parish from WW1. The lower memorial made of wood and bronze containing 28 WW1 and 8 WW2 names was rescued from the decommissioned Holy Trinity Church. The name ‘Dewar’ appears twice. ‘Sonnie’ and ‘Jack’ were the sons of the vicar, Revd. Dewar. At the bottom are crossed and laurel-wreathed Lee-En eld .303 rifies. Laurel represents victory; had it been of olive the wreath would represent peace. Two more names are carved on pews at the back of the Burton Chapel against the South wall. Parish women played their part but none are on our church memorials or are recorded to have died under the colours.